Hey, I just heard I was featured in the Wellbeing Section of Manila Bulletin, Nov. 1, 2011. 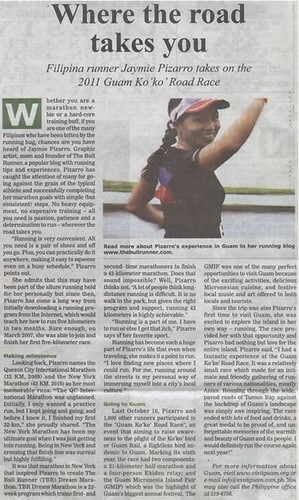 This was about my running the Guam KoKo Road Race last October 16, 2011. Sigh, fond memories of that rainy race. Thanks to Nina for informing!